Wolfdog Rescue will NOT sell your personal data to any third party. Your privacy is important to Wolfdog Rescue. 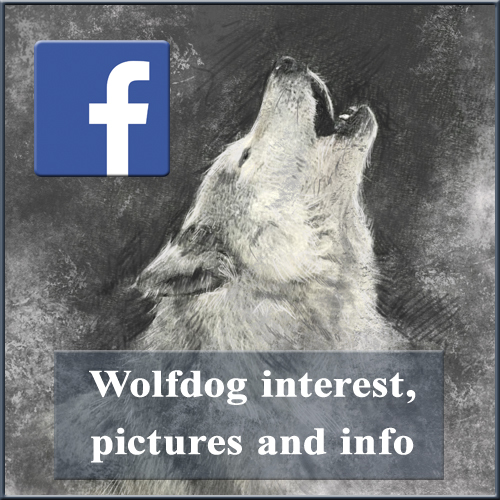 This privacy statement provides information about the personal information that Wolfdog Rescue collects, and the ways in which Wolfdog Rescue uses that personal information. Organisations and/or individuals that we engage for the purposes of processing an application to foster or adopt. Where Wolfdog Rescue discloses your personal information to its agents or sub-contractors for these purposes, the agent or sub-contractor in question will be obligated to use that personal information in accordance with the terms of this privacy statement. In addition to the disclosures reasonably necessary for the purposes identified elsewhere above, Wolfdog Rescue may disclose your personal information to the extent that it is required to do so by law, in connection with any legal proceedings or prospective legal proceedings, and in order to establish, exercise or defend its legal rights. This website operates an email newsletter used to inform subscribers about products and services supplied by this website. Users can subscribe through an online automated process should you wish to do so but do so at your own discretion. Subscriptions are taken in compliance with UK Spam Laws detailed in the Privacy and Electronic Communications Regulations 2003. All personal details relating to subscriptions are held securely and in accordance with the General Data Protection Regulation (GDPR). Email marketing campaigns published by this website or its owners may contain tracking facilities within the actual email. Subscriber activity is tracked and stored in a database for future analysis and evaluation. Such tracked activity may include but is not restricted to: the opening of emails, forwarding of emails, the clicking of links within the email content, times, dates and frequency of activity. This information is used to refine future email campaigns and supply the user with more relevant content based around your activity. Communication, engagement and actions taken through external social media platforms that this website and its owners participate on are subject to the terms and conditions as well as the privacy policies of each social media platform respectively. Users are advised to use social media platforms wisely and communicate/engage upon them with due care and caution in regard to your own privacy and personal details. This website may use social sharing buttons which help share web content directly from web pages to the social media platform in question. Users are advised before using such social sharing buttons that you do so at your own discretion and note that the social media platform may track and save your request to share a web page respectively through your social media platform account. 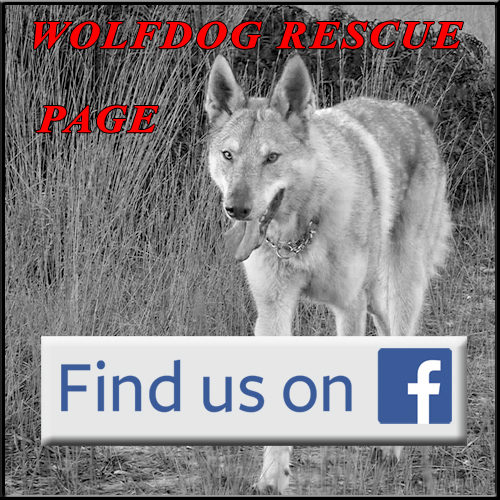 Wolfdog Rescue will take reasonable technical and organisational precautions to prevent the loss, misuse or alteration of your personal information. 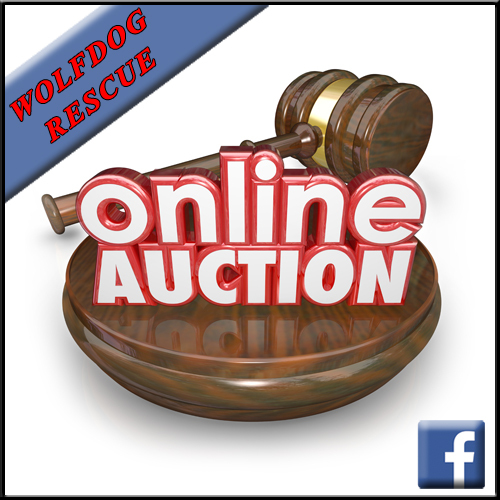 Wolfdog Rescue will store all the personal information you provide on its secure server. 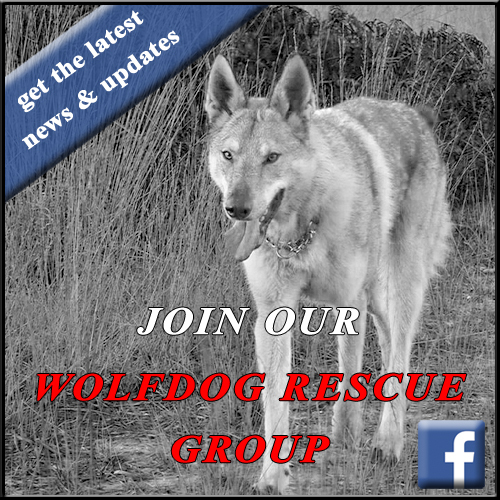 Wolfdog Rescue is not responsible for the privacy policies or practices of any third party. Wolfdog Rescue cookies are not used to identify you personally.